The internet … I remember that catch phrase in the 90s of “if you aren’t on the internet within 12 months your business will be dead”. The year 2000 bug … stock your pantries, the world is about to end when equipment stops because of the general lack of support for a 4 digit year. Closely followed by the dot.com crash of the early 2000s caused by speculative, and outlandishly overvalued investments in technology companies. The internet of things was discussed around 2010 which predicted that within a short period of time all manner of things will be interconnected, utilising the internet, to provide a dramatically different way of living. That more “things” would be connected to the internet than people. All of the above became kind of true (and the internet of things is still playing out / expanding), but not reaching the zenith proposed by the vendors of the theories; yes, vendors – many of the voices behind these ideas stand to gain by promoting the concepts. 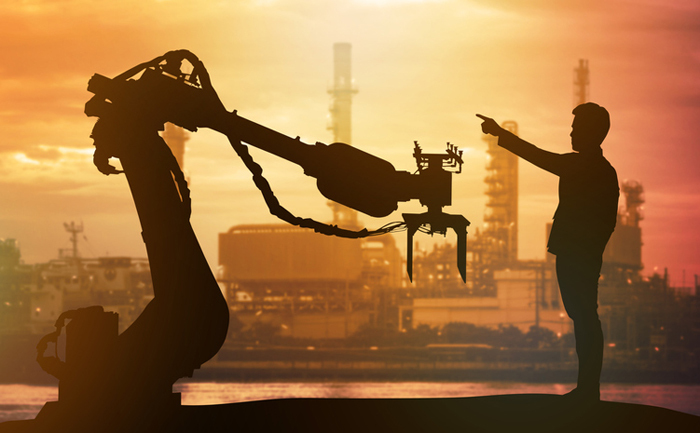 So, it is no surprise that as we approach the end of this decade, my colleagues and others have started talking about the next big dramatic change – the 4th Industrial Revolution (‘4IR’). 4IR is fuelled by technologies such as artificial intelligence and machine learning, cloud technologies, and 5G. Many of those discussing 4IR predict the destruction of humanity as robots take over, leading to mass unemployment. “The fourth industrial revolution is growing out of the third [the digital revolution] but is considered a new era rather than a continuation because of the explosiveness of its development and the disruptiveness of its technologies. According to Professor Klaus Schwab, Founder and Executive Chairman of the World Economic Forum and author of The Fourth Industrial Revolution, the new age is differentiated by the speed of technological breakthroughs, the pervasiveness of scope and the tremendous impact of new systems.”(1) Those talking about 4IR want us to embrace the new technologies and allow humanity to explore them to their fullest extent in order to achieve great improvements in the lives of everyone. Greater sharing of knowledge and resources than ever seen before is key, which in turn requires a new economic model to ensure that every person in the world has their needs met in a fair and equitable way. End environmental degradation, poverty, homelessness, hunger, and provide equitable access to education, nutritious food and significantly advanced medical care. I listen to talk about 4IR with what I view is a healthy dose of skepticism. I agree that technology will continue to promote and support change at an exponential rate. But when it is all said and done, we are still humans, living our human lives. We naturally more easily understand, and therefore trust, people who are similar to ourselves – whether that’s the language we speak, where we went to school, where we have grown up, the details of our upbringing, our worldview. It is my expectation that moving to a new economic sharing model is the zenith that will never be anywhere near achieved, despite how attractive it may sound. We will not succumb to, or comply with, a small number of organisations controlling all the data and resources, and their distribution. Different groups of people will continue to evolve technologies to solve common problems, in different ways. We are already seeing push back – Google have recently been successfully fined a record 5 billion dollars in Europe for anti-trust. Also in Europe the GDPR legislation is pushing back against the will of corporations such as Google and Facebook to use data at their own discretion, just because they provided a free service when they were gathering that data. It is my view that we will continue to explore the benefits of new technologies; some will make vast sums of money from new inventions and innovations, some will lose their jobs and need to retrain to do something else, but the vast majority of humans will keep living their lives with a few extra conveniences that modify what used to be the norm, and hopefully improved medical outcomes and a cleaner environment. On the whole we will become more knowledgeable; whether we become wiser remains to be seen. I also believe that every type of industry will be affected by rapid technological developments. That includes technology companies! We are constantly under pressure to offshore, change technologies to the latest thing, provide services and solutions for very low cost or free. I am careful to not just jump onto the latest bandwagon for ourselves or our clients, but to make sober decisions which appropriately weigh up risks and benefits, and also reflect my personal values. Change affecting business is nothing new. That’s part of running a business – recognising, adapting to, or taking advantage of the change going on around you is a fundamental skill of a business owner, those responsible for business strategies, and the corporate board. This entry was posted on Tuesday, November 27th, 2018 at 12:39 am	and is filed under artificial intelligence, Online Technologies, Technology. You can follow any responses to this entry through the RSS 2.0 feed. You can leave a response, or trackback from your own site. You have written a very insightful article. Makes a lot of sense to me.